Tom Haudricourt of the Milwaukee Journal Sentinel reports the Brewers and Bowling Green-native Corey Hart appear headed to an arbitration hearing after the team pulled its latest offer. University of Kentucky signee and Trinity ace Corey Littrell was named a Louisville Slugger High School All-American by the College Baseball Newspaper. Two Morehead State signees also were named All-Americans. Mike Stunson of the College Heights Herald reports Western Kentucky University will play its home game against the UK at Bowling Green Ballpark, home of the Hot Rods. Paducah-native Eric Roof has earned a non-roster invitation to Spring Training from the Detroit Tigers. Here’s the updated list of Cincinnati Reds non-roster invitees, including several Louisville Bats. Baseball America reports in its minor league transactions update, the Giants have released Lexington-native Adam Witter. Mark Sheldon of MLB.com recaps the Reds’ caravan stop in Louisville. ESPN/USA Today has released their preseason top 25 poll for college baseball, and the University of Louisville ranks No. 20 on the list. UofL has already been picked as the preseason Big East favorites and ranked in the Baseball America top 25. The Cardinals will try to defend their 2009 Big East title this year after a 47-18 season. The University of Kentucky and Western Kentucky University finished in the others receiving votes category. UK ranked 47th with 4 votes and WKU ranked 52nd with one vote. UofL closer and member of the BluGrass Baseball All-State team Gabriel Shaw was also named to the National Collegiate Baseball Writers Association stopper of the year watch list. Shaw is one of 47 relievers honored on the initial watch list. One thing we can all be proud of as Kentucky sports fans is the state’s involvement in the relief efforts after the devastating earthquake in Haiti a few weeks ago. This morning we linked a report about the University of Louisville baseball team’s help and the University of Kentucky “Hoops for Haiti” telethon has received lots of national attention. Now the Lexington Legends are adding to the Bluegrass swell of support by donating funds from single-game, group and walk-up ticket sales for their April 18 game. Adcock hasn’t lived up to his billing as a fifth-round draft pick out of Central Hardin yet as a professional. The Pirates acquired him from the Mariners at the trade deadline in the Jack Wilson deal, but his performance didn’t improve after the trade. Adcock was 8-9 with a 5.29 ERA and 86 strikeouts to go with 61 walks in 126 innings. Duncan joined the Legends midseason after struggling to adjust to High A ball, but he quickly showed why the Astros think highly of him after the demotion. In 10 games with Lexington, Duncan was 4-4 with a 4.29 ERA and 52 strikeouts in 56.2 innings. On the season he was 4-14 with a 5.73 ERA and 102 strikeouts to go with just 29 walks in 125.2 innings between three levels. (David also shares a birthday with a certain Kentucky baseball blogger). BA is also having a day-long chat to celebrate the release of the handbook. You should stop by for some great info. Already the BA staff has revealed 2009 Bowling Green Hot Rod Keyong Kang will rank No. 31 in the Rays’ supplement. Steve Gilbert of MLB.com profiles Ashland-native and University of Kentucky alum Brandon Webb‘s rehab. 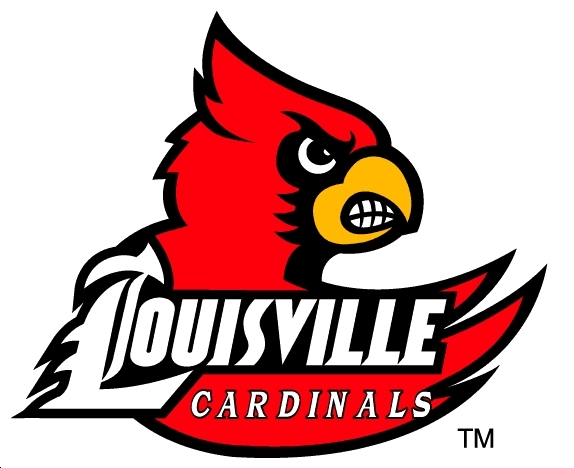 Debbie Harbsmeier of WHAS reports the University of Louisville will begin baseball practice today. John Fay of the Cincinnati Enquirer talks with 2009 Louisville Bat Todd Frazier. Fay writes for the newspaper Frazier might be a fit at shortstop. Jonathan Mayo of MLB.com has released his top 50 prospects list for all of major league baseball, and four players with Bluegrass ties made the cut. Eastern Kentucky University alum Christian Friedrich (No. 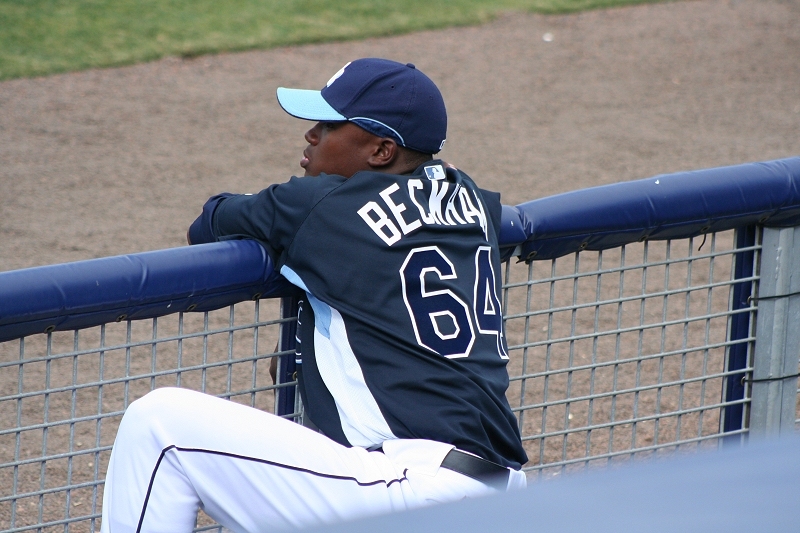 23) leads the Kentucky contingent and is followed by 2009 Bowling Green Hot Rods shortstop Tim Beckham (No. 24) and 2009 Louisville Bats Yonder Alonso (No. 30) and Juan Francisco (No. 48). The most notable omissions with Kentucky ties are probably 2009 Lexington Legends ace Jordan Lyles and Hot Rods ace Matt Moore. Both pitchers excelled in full-season ball despite their young age and should rocket to the top half of this list with strong 2010 seasons. BA’s story. The Kernel’s story. So now we know Paxton is appealing his case which may or may not result in a favorable ruling. The real question is what next for the Bat Cats? The situation is bad for all parties involved. Paxton should have had the right to negotiate with the Blue Jays through an agent, but the NCAA currently prohibits such action. UK can’t in good faith let Paxton risk the season for the rest of its team if they feel subsequent action from the NCAA would come from him playing. At this point the Cats basically have to prepare as if Paxton isn’t going to play. As of now he is still practicing and working out with the team as if this will all go away when the season starts. Even if he wins this case the chances of a subsequent suit against the NCAA in the event of a likely suspension could be around the corner. The chances of Paxton ever appearing in a UK game this season appear to be lessening with every legal advance. Maybe I’m wrong and he wins a quick appeal and the NCAA gives up its investigation, but don’t count on it. The college season is just around the corner. With Opening Day just weeks away there’s no time like the present to unveil the BluGrass Baseball preseason All-State team. Players from Kentucky colleges were eligble. Rice was recently named a third-team preseason All-American by Ping! Baseball. In 2009, he teamed with Detroit Tigers draft pick Wade Gaynor to lead WKU to a Sun Belt Championship and NCAA appearance. During that season, Rice hit in a school-record 31 consecutive games from March 1 to April 17. With most of last year’s championship team in professional ball now, Rice will be counted on to carry the offensive load for WKU. Cunningham is probably the best hitter in the state you’ve never heard of, if not one of the best in the country. Ping! selected him for their under the radar All American team, and the slugging first baseman ranked as the No. 87 player in the country by The College Baseball Blog. Cunningham is a graduate of Eastern High School in Louisville and should be drafted this summer as a senior. Bisson was recently named a third-team preseason All American by Ping! Baseball after leading UK in almost every major offensive category in 2009. Chris was selected to participate in the prestigious Cape Cod League this summer where he led the league in stolen bases. Bisson will be counted on to anchor a young Wildcat lineup in 2010. Montgomery County graduate Lee was named a second-team preseason Ping! All-American and a third-team preseason Louisville Slugger All-American. Lee was named all OVC in 2009 and was a semifinalist for the Brooks Wallace Award. Drew set the Morehead single-season record for hits with 86 in 2009. Lee will try and use a strong 2010 to earn a draft selection this summer as a senior. Lafayette High School graduate Langfels is the only Colonel on the list after Ping! named him a third-team preseason All-American. Jayson led the state in batting average last season and could be positioned as an early draft pick with a strong 2010. 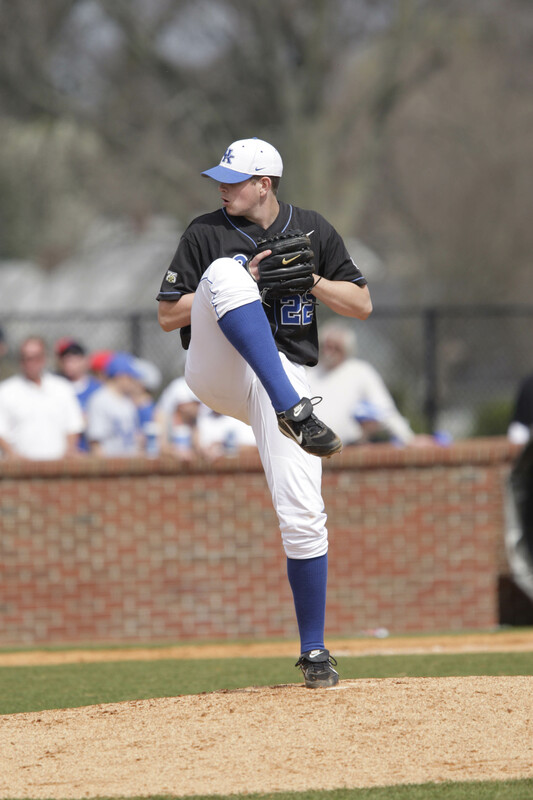 Langfels was named a second-team postseason All-American by CollegeBaseballInsider.com following the 2009 season. Wunderlich was named a second-team All American by the National Baseball Writers Association following the 2009 season where he was also named to the first-team All Big East Tournament team, All-Regional first team and All Big East second team. Wunderlich will probably move to the field in 2010 after third baseman Chris Dominguez signed with the Giants, but as the best slugger in the state he’ll repeat his 2009 role as the All-State team DH. Wright came to UK as one of the least heralded freshman in the historic 2009 recruiting class, but he finished the year by outperforming most of his more highly touted classmates. 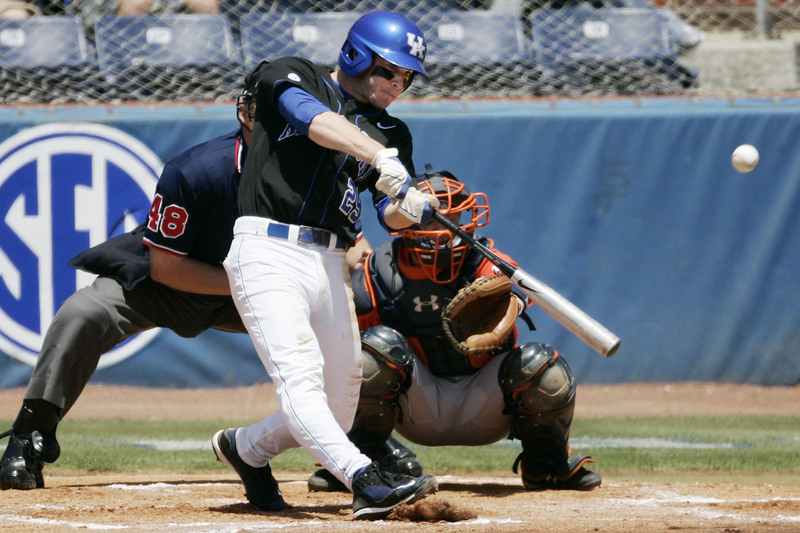 By the end of 2009 Wright was entrenched as UK’s leadoff hitter, and he batted .381 in the team’s last 20 games. Wright batted .300 in 60 games in the Northwoods League this summer. Hill was honored with a first-team All-Ohio Valley Conference performer in 2009 after his .344, 16 HR season. Daniel transferred to Murray State prior to last season after two seasons at Southwest Tennessee Community College. 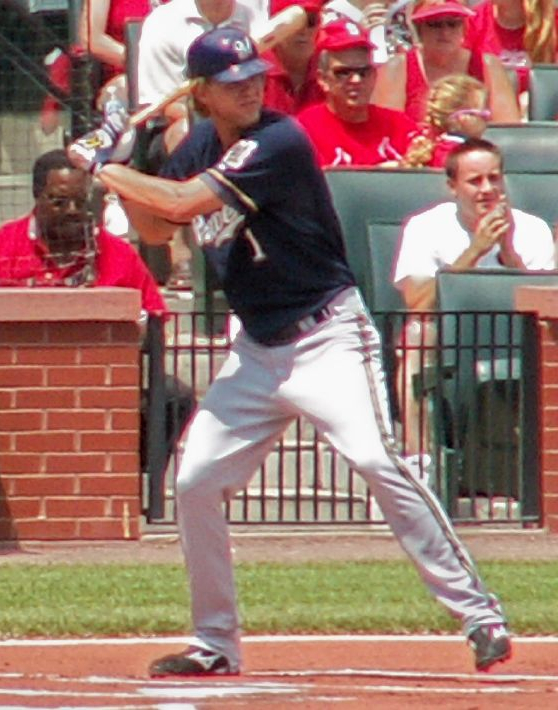 Hill was selected as National Hitter of the Week during the opening week of 2009 and tied the Murray State single-season record with 16 home runs. Ashbrook, a Harrison County graduate, was named second-team All-OVC in 2009. Outfield is the offensive weakness on the All-State team, but Ashbrook earns the nod as the third outfielder for his mix of batting average and power. Ashbrook’s Harrison County teams won four regional titles in his six season as a starter. Honorable mention Stewart Ijames would have been a shoe-in for one spot had he not missed all of last season with an injury. Ridings was selected by the Washington Nationals in the 25th round of the draft following the 2009 season after leading WKU in wins for the third consecutive year. Matt started a team-high 16 games and went at least seven innings seven times last season. Ridings earned a win against Missouri in the NCAA tournament and surrendered one run in seven innings in the regional finals. Zych was unhittable as the Cardinals closer to start 2009, but he moved to the starting rotation to close the season. Tony won each of his three starts and was selected as a Freshman All American by Louisville Slugger and Ping! Baseball. 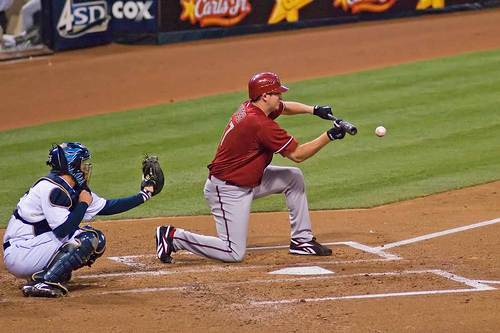 Opposing batters hit just .235 against Zych in 2009. Starting pitching is this team’s weakness and the third spot should logically go to first-round pick James Paxton, but with his 2010 status up in the air I can’t justify putting him on this team. Meyer’s 2009 stats were not good, but he’s the single most talented pitcher in the state, and if he steps up in 2010 anywhere near his talent level he’ll end up on the postseason All-State team for certain. With Zych moving to the UofL starting rotation full time this season, Shaw will have the first shot at the Cardinals’ closer position. Shaw, a graduate of St. Mary’s in Paducah, had the fifth most appearances in one season in UofL history in 2009. He closed out the Cardinal’s NCAA regional win against Indiana. Baseball America has released its preseason college top 25 ranking and one Kentucky team made the list. The University of Louisville checks in at No. 13 on the list, and BA grades them at a 65 on a 20-80 scale in hitting and power and a 60 in bullpen, experience/intangibles and “overall future potential.” The lowest grades for UofL were a 55 in speed, defense and starting pitching.